Jungheinrich has launched the latest versions of its hydrostatically driven 3s, 4s, and 5s series of engine-powered counterbalanced forklift trucks. A new control system means the trucks feature a high degree of energy efficiency and deliver top performance, coupled with extremely low fuel consumption, says the company. As part of the re-engineering process, the trucks feature a new hydraulic pump which delivers exactly the right amount of oil required for the trucks’ operational hydraulics. In practice this means an increase of up to 20% in the efficiency of the lift and hydraulic functions. In addition, a new engine design means that the trucks not only meet the stringent requirements of the latest European emissions directive, but offers significantly improved energy efficiency that results in a reduction in fuel consumption of around eight percent - saving money, reducing CO2 emissions and protecting the environment. To ensure that maximum product throughput rates are achieved, the engine speed increases automatically during lifting operations. The trucks’ hydrostatic drive technology ensures steering and operational hydraulic operations are direct, precise and effortless. While five pre-set operating programs enable the driver to adjust the operational characteristics of the truck to suit the job at hand with the touch of a button. A new compact mast means that driver's field of vision has been significantly enhanced too. Compact nesting of sections, optimised hose and chain guides as well as two openings in the crossbar, all combine to improve driver visibility by up to 85%. "A new engine design means the trucks meet the stringent requirements of the latest European emissions directive and offer improved energy efficiency." The design of the trucks’ control panel gives the driver an excellent view of the load and fork tips. A strut-free, safety glass window in the overhead guard affords the operator an unobstructed upward view when stacking and retrieving pallets, while the position of the counterweight ensures a clear view to the rear. The trucks deliver a high level of safety in daily operations. Their extremely low centre of gravity – a result of a clever counterweight design and the rear axle floating over the wheel suspension - means that the trucks do not need a costly to maintain electronic stability program. In addition to the inherent construction-related safety features, the hydrostatic drive trucks offer various optional driver assistance systems. For example, Access Control is an assistance system which allows the truck to be operated only after a set sequence of control mechanisms has been performed (closed seat switch, safety belt). Meanwhile, the Drive Control option restricts drive speed when the forklift reaches a set lift height. With the Lift Control package for safe load handling, not only is the tilt speed reduced at a set lift height but, if needed, an integrated side shift is put in a pre-set centre position and the mast tilt angle is shown to the driver on a separate display. With over 50 sites in operation across Europe, RPC is one of the world's leading suppliers of rigid plastic packaging products and plastic containers. At its Blackburn plant the company produces a range of injection-moulded and injection blow-moulded containers. The forklift trucks in operation at the original off site warehouse required replacing, and Jungheinrich supplied RPC with seven new gas-powered counterbalanced trucks from its TFG range. The TFG trucks feature hydrostatic drive engines. The engines allow the trucks to accelerate quickly and changes in direction are sleek and smooth, making the TFG models ideal for applications which involve a lot of shuttling work – such as RPC’s. In addition, because hydrostatic drive technology has only a few mechanical components, the trucks are low maintenance and easier to service. As a result, truck downtime is kept to a minimum and whole life operating costs are low. While the trucks’ engineering quality and low ongoing maintenance costs were attractive features to RPC, the main driver behind the company’s choice of Jungheinrich gas counterbalanced trucks was the savings in fuel costs they bring to the Blackburn operation. Jungheinrich was able to demonstrate that not only were the trucks’ engineering quality and low ongoing maintenance costs attractive features, but also by introducing TFG trucks, RPC would be able to reduce its annual fuel costs. At the original store, the ageing fleet of gas-powered forklifts had relied on bottled gas for their power, but the move to their own purpose-built facility allowed RPC to take advantage of the gas storage tanks that are in place at the site to refuel the trucks. In addition to the manufacturing unit, the Blackburn site also features two storage facilities: one houses products that are at the ‘work in progress’ stage, while the other is used to store finished goods. Due to previous growth, finished goods were held off site but RPC’s acquisition of a competitor prompted a rethink of the intralogistics processes at Blackburn and it was decided that the company’s needs would be better met by the construction of a new warehouse unit within the boundaries of the main site. The new 115,000 sq ft finished goods store provides capacity for up to circa 14,000 block stacked pallets and a further circa 2,500 pallet locations in a racking structure designed, supplied and installed by Jungheinrich UK. The racking is served by a man-up Very Narrow Aisle truck – also provided by Jungheinrich, which takes advantage of wire guidance technology and Jungheinrich’s state of the art personnel protection system (PPS). Slater Harrison & Co is a UK manufacturer of speciality card, paper and board. 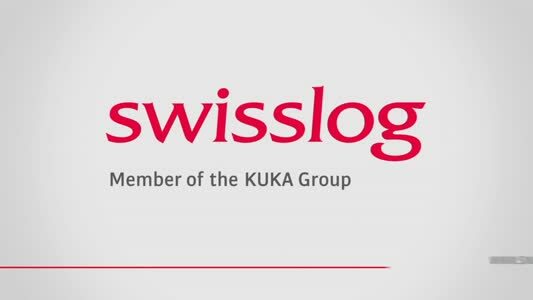 It operates from an old paper mill and production and storage of raw materials and finished goods takes place at various units within the footprint of the same facility. The most recent addition to its fleet is a gas-powered counterbalanced truck from Jungheinrich’s TFG Series 5 range. These trucks also feature hydrostatic drive engines, which are suited to the shuttling work at Slater Harrison. Slater Harrison’s new truck is fitted with a bespoke clamp attachment to handle incoming rolls of raw materials as well as finished products. Incoming rolls of raw material – which can weigh anything up to 1.3 tonnes - are unloaded from trailers by the new forklift and delivered to one of Slater Harrison’s on-site storage facilities where they are typically block stacked. The new counterbalanced forklift has been acquired on a five year contract hire package. At the end the five year period Slater Harrison intend to purchase the machine and keep it as a back up vehicle. The company did this with the truck that the new TFG has replaced. Slater Harrison has some 30 forklifts, the majority of which are provided by Jungheinrich UK. Jungheinrich has also reach and pedestrian models. 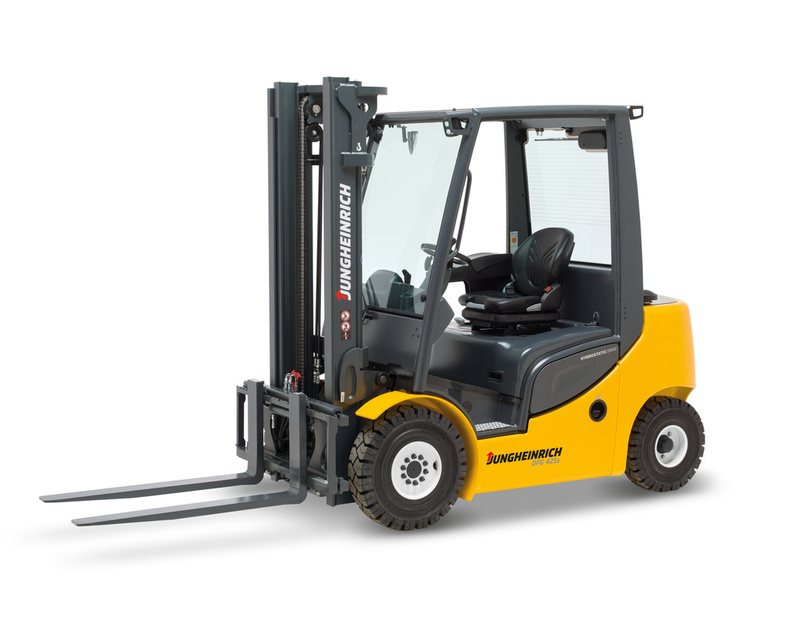 Fore example, a Jungheinrich ETV reach truck puts smaller loads in racking as opposed to bulk stacking. When required in the converting facility the raw material reels are delivered by the gas trucks and placed just inside the entry door where they are collected by a Jungheinrich pedestrian operated stacker – again fitted with a bespoke reel handling attachment – and transported directly to the conversion machinery.